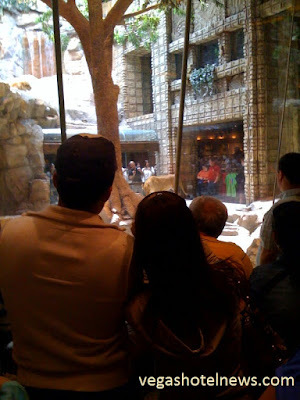 The Las Vegas Sun is reporting the lion habitat at MGM Grand will be closing permanently January 31, 2012. The lion habitat was frequently ranked as one of the best free attractions on the Las Vegas Strip. It seemed to be very popular, attracting a nice crowd whenever the lions were there and active. Despite the popularity, I'm guessing the habitat wasn't a money-maker for MGM, as many of the visitors were families with children not old enough to gamble. The habitat received some bad publicity at the end of 2010 when a video surfaced of a lion attacking one of its handlers. Not sure if that led to the decision to close the attraction, but it couldn't have helped.